Pez talks with Pietro Caucchiolli about the new Alé Bike Wear Cracle jersey & bib shorts for road cycling at Sea Otter 2018. It's a full kit for about $230 - including the jersey and bibshorts - which is a great price for kit that's made in Italy. Unlike Alé's excellent PRR and REV-1 collections (which I reviewed here), the Cracle is part of their SOLID collection, and fits slightly looser, which will be welcomed by anyone who prefer's a less "racer" look to their kit fit. • Subscribe to the PEZ Youtube Channel for a lot more videos. 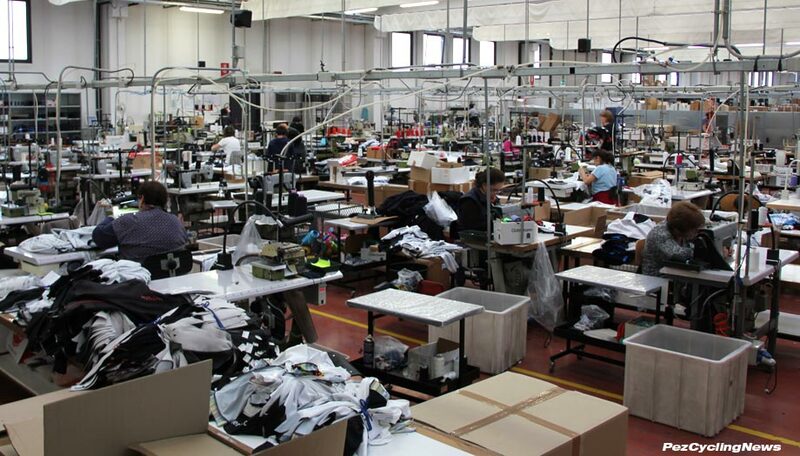 The Alé kits are made in their Italian factory - by skilled sewers. All the sewing is done by hand.